Many people love the summer - but they don't like the sun much. Fortunately, shade could make all the difference in whether people enjoy the summer sun or stay indoors. With tennis being one of the more active activities for people, the idea of playing on an outdoor court in the summer is not all that appealing without some shade. 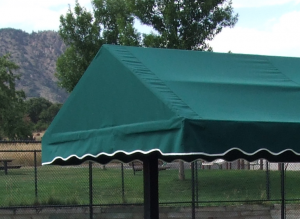 If you have tennis courts that don't get much use in the summer, we offer an inventory of awnings and cabanas that you could install to provide some much needed shade for your players. 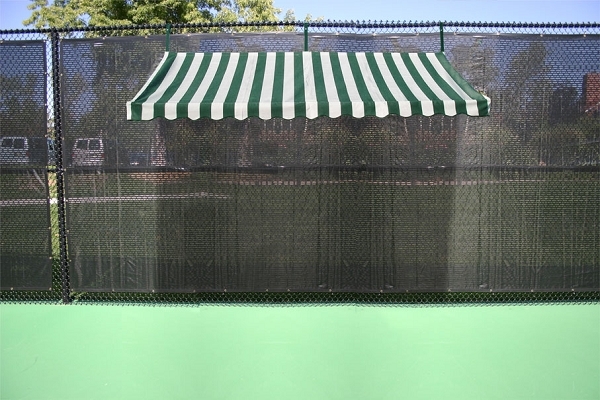 These awnings and cabanas are made with the finest quality materials so they are durable in many weather conditions and provide cooling shade that can be vital to keeping players cool enough for them to play a little bit of tennis outdoors. 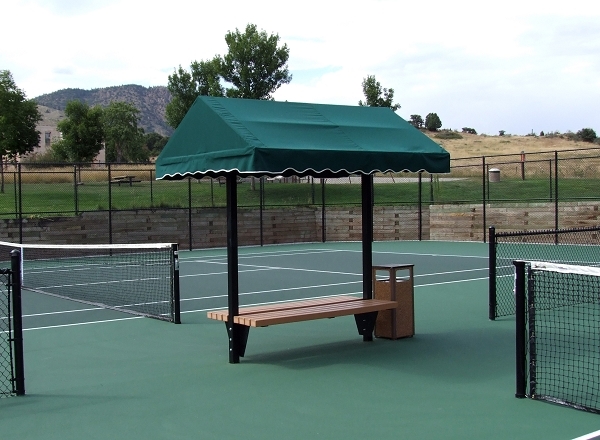 You owe it to your players to provide a comfortable experience in all seasons, and adding an awning or cabana to your court can make a huge difference in the amount of summer tennis traffic you have. Take a look at our offerings and let us know if we can help you pick the right item for you.